Platinum 5 diamond eternity ring. 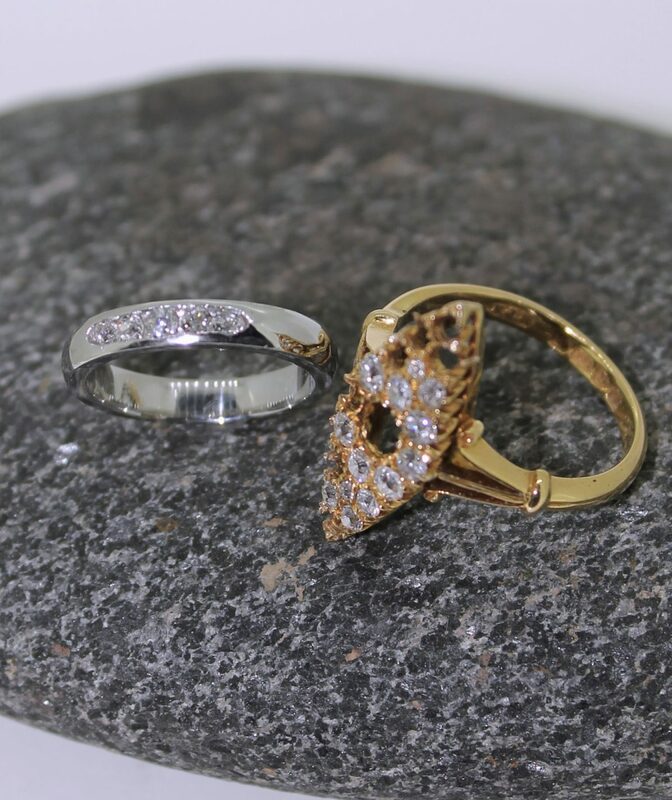 Stones taken from marquise cluster and put in a platinum channel set eternity style ring. One of 4 rings made from the original ring.